Fault Grounds for Divorce in Mississippi: Updated! The Mississippi Legislature amended the Fault Grounds for divorce last term to include spousal domestic violence and tweaked the corroboration requirement. The current Fault Grounds for Divorce are below. You only need one. Fourth. Willful, Continued and Obstinate Desertion for the space of one (1) year. Seventh. Habitual Cruel and Inhuman Treatment, including Spousal Domestic Abuse. That the injured party’s spouse engaged in a pattern of behavior against the injured party of threats or intimidation, emotional or verbal abuse, forced isolation, sexual extortion or sexual abuse, or stalking or aggravated stalking as defined in Section 97-3-107, if the pattern of behavior rises above the level of unkindness or rudeness or incompatibility or want of affection. Eighth. Having Mental Illness or an intellectual disability at the time of marriage, if the party complaining did not know of that infirmity. Tenth. Pregnancy of the wife by another Person at the time of the marriage, if the husband did not know of the pregnancy. Eleventh. Either party may have a divorce if they are Related to each other within the Degrees of Kindred between whom marriage is prohibited by law. Twelfth. Incurable Mental Illness. However, no divorce shall be granted upon this ground unless the party with mental illness has been under regular treatment for mental illness and causes thereof, confined in an institution for persons with mental illness for a period of at least three (3) years immediately preceding the commencement of the action… (see statute for complete description). 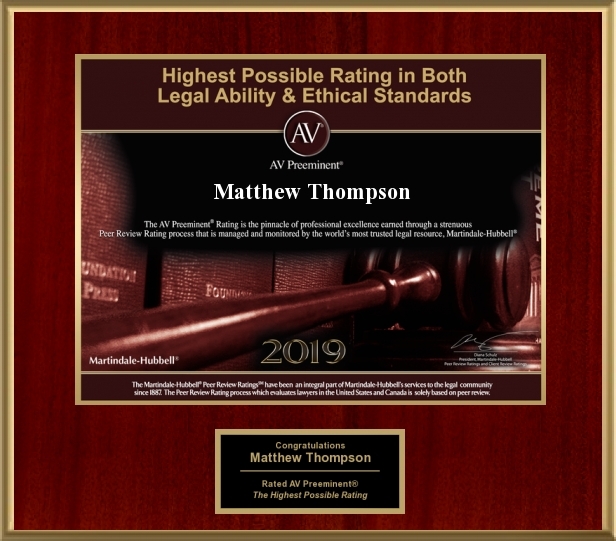 Matthew Thompson is a Divorce attorney in Mississippi and reminds you that the law requires that you have a Fault ground in order to be awarded a fault based divorce.